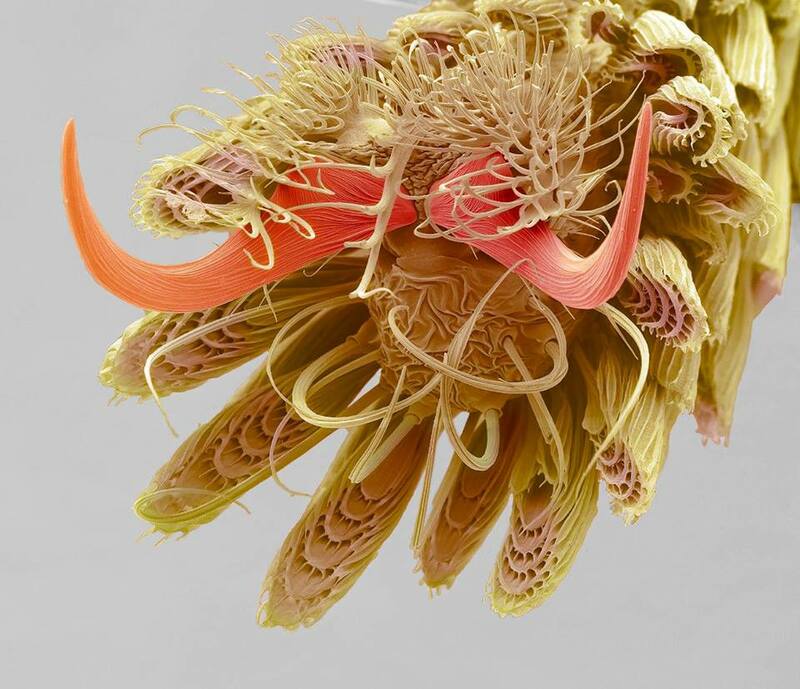 This is a magnification of a mosquito’s leg. It was made through a special lens that magnified it 800 times. To give you an idea how much that is, a picture of an average grain of rice, if magnified to that extent, would be around six meters, or roughly twenty feet long. We are expected to believe by those who deny God that such beauty, precision, utility and effectiveness simply ‘came to be’, on its own. We are told that such is the Law of Nature and so states the Theory of Evolution. Changes at the DNA level simply occurred as random mutations, such that the aggregate result of billions and billions of random mutations is seen in this picture. But at what point does it actually become more rational and reasonable to believe in a Supreme Deity – a Being who not only created this perfectly sculpted leg on a minuscule insect, but also created that insect, and what it feeds off of, and the environment that all of these creatures live in, in a perfect and harmoniously balanced ecosystem? There is no argument for the existence of God as simple, as self-evident, and as powerful, as the argument from the creation itself. In every being there is a sign, and in every creation there exists proof of the Creator. It looks like it has a moustache.